Today, voters across the Commonwealth of Virginia head to the polls in an election that could swing the State Senate from Republican to Democratic control. And with the increasing anti-immigrant rhetoric coming from Republican politicians — most garishly embodied by Donald Trump — this election also gives the first big chance for voters to stake out a position against the anti-Latino demagoguery of the Republican Party. Virginia is a key state for People For the American Way’s Latinos Vote! program. 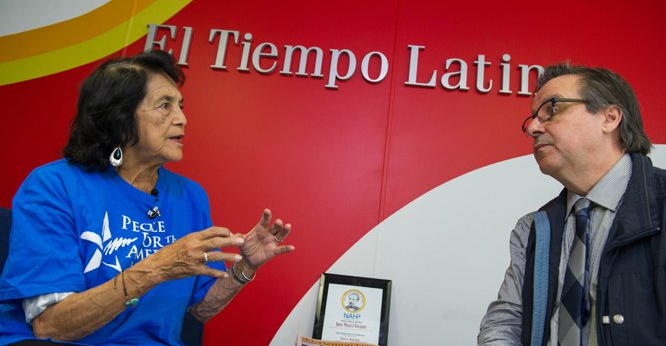 This election cycle, PFAW’s efforts focus on turning out Latino voters in Northern Virginia, particularly in State Senate District 29, where Democrat Jeremy McPike is running against Republican Hal Parrish. 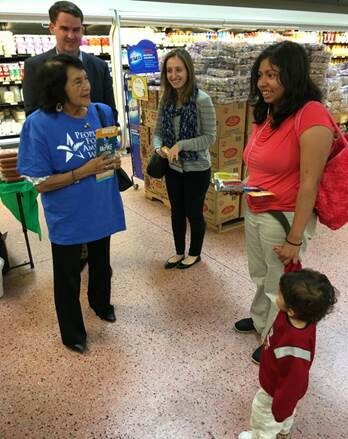 In addition to the ad, civil rights legend and PFAW board member Dolores Huerta traveled to Virginia the weekend before the election to support McPike and to rally key voters, especially in Latino communities. 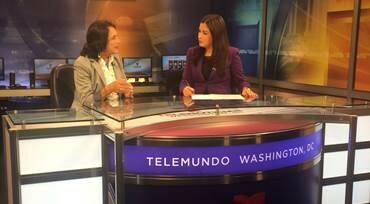 Huerta’s first stop was an interview for Telemundo Washington’s nightly news broadcast, where she encouraged all voters to make their voices heard by showing up to the polls on Tuesday. Throughout the weekend, Huerta and McPike spoke to voters (and even future voters) about the need to cast a ballot on Tuesday and why McPike is the best choice for State Senate District 29. 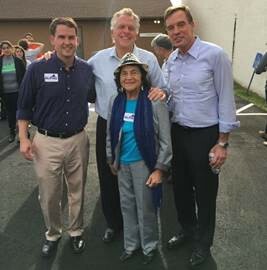 Today’s election is of critical importance to the state of Virginia, and the Latino vote could once again prove to be the margin of victory for McPike and other candidates. For information about where to vote and what you need to bring with you, click here. We're People For the American Way: a progressive non-profit org working for equal rights and constitutional liberties.